Whether you are ready to spend big moolah or have budget constraints, why make the wedding entry decor anything less than spectacular? All you need to do folks is think out of the box (which is pretty manageable) and put in a little effort. 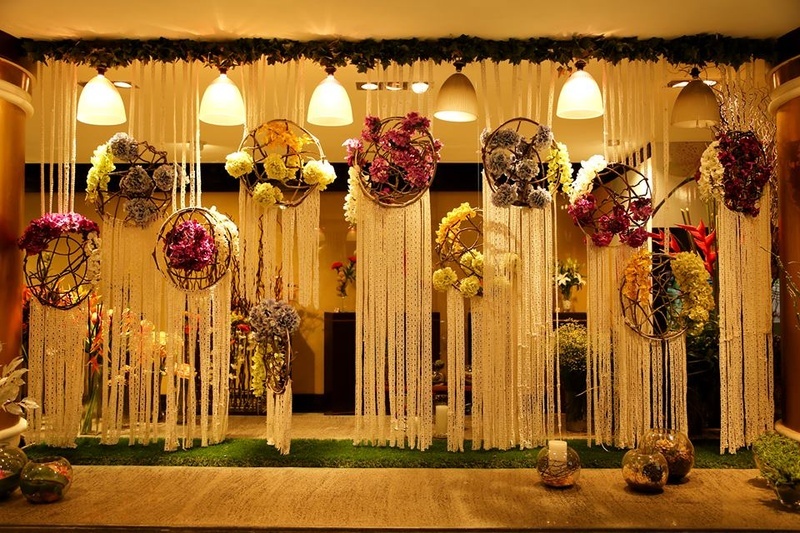 These are some new-age wedding entrance decor ideas for the bride and groom. Yes, we are talking about the gorgeous, ethereal swags of fabric that drape, cascade, or billow around the entrance. Make your guest’s first peek into your wedding unforgettable! Adding classy curtains for the entrance will lend a touch of elegance to your décor. You could create a wedding theme door with a classy pair of curtains tied with some shimmery tie-backs or have the arch decorated with colourful drapes! LED décor lights are in vogue, so why not choose them for your wedding entrance? Or what about fairy lights and lit-up strings decorated all over a tree in an upside down U-shape? The twinkle lights on the entrance tree will add a fairytale effect to your wedding and make you feel just like a princess! To add class to your wedding, make the entrance look spectacular with a unique welcome sign board and the couple’s name! Add something interesting like the couple’s first date, proposal date, etc. for a romantic touch. Or an exclusive, personalised prop, which blends with the venue theme to create a lasting effect. A large accentuating chandelier or a string of chandeliers will add a luminous effect to your venue entrance. Something bright and flashy will make your guests marvel over the decor. When it comes to contemporary décor, you can also add a modern chandelier or flush mount lighting in the banquet hall. If you’re opting for an outdoor wedding, make a nice door with fairy lights! How cool! Make your wedding entrance look and feel fresh with fragrant flowers. You can also get a specialist and let him make some gorgeous floral masterpieces for the entrance and make your guests go ‘WOW’. If you want to go the conventional way, keep two oversized bouquets on either side of the entrance for a unique appeal. Or else embellish the entryway with fresh flowers all over!